Postcard sent by my parents from Cancun, Mexico, on a trip they took with my sister Ali, brother-in-law Billy, great-aunt Joan and great-uncle Chris. 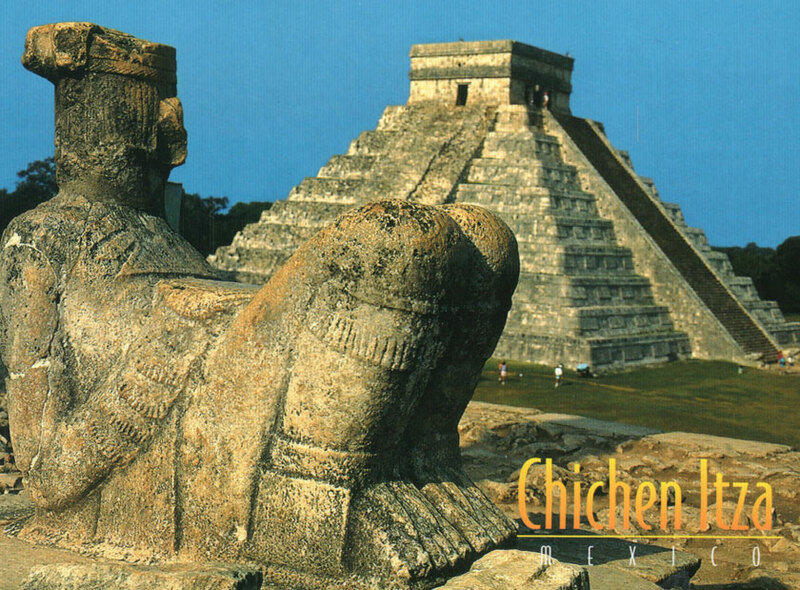 Highlights of their trip included taking “a ferry to Isla Mujeres (a small island off the coast) [and] going on an all-day tour to Chichen Itza”. Apparently “Dad and Chris went to a bullfight”, too!